Discover the Tambopata National Reserve and the vast Madre de Dios River on this 3-day tour in the Peruvian Amazon. Stay overnight at the Hacienda Concepción, a comfortable, 3-star eco-lodge located just 45 minutes from Puerto Maldonado by motorized canoe. Walk along nearby nature trails and hike to the secluded Lake Sandoval for wildlife viewing by dugout canoe. Ascend to the treetops on the Inkaterra Canopy Walkway in search of three-toed sloths and listen to nocturnal nature sounds at dusk. Full board and round-trip hotel transfers are included. Numbers are limited to 8 people, ensuring an intimate experience with a small group. 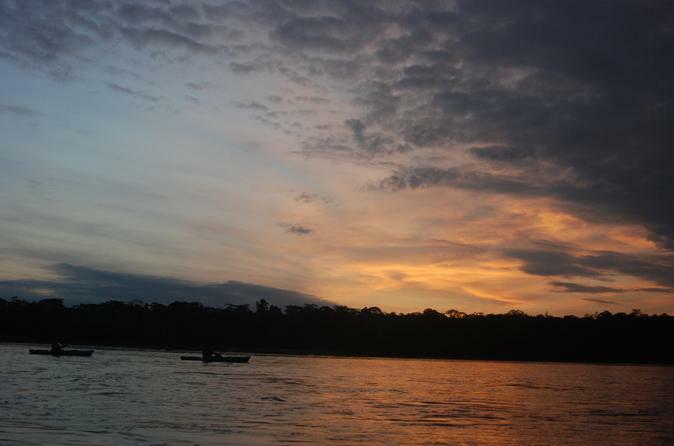 Travel down the Madre de Dios River and explore the Amazon jungle. 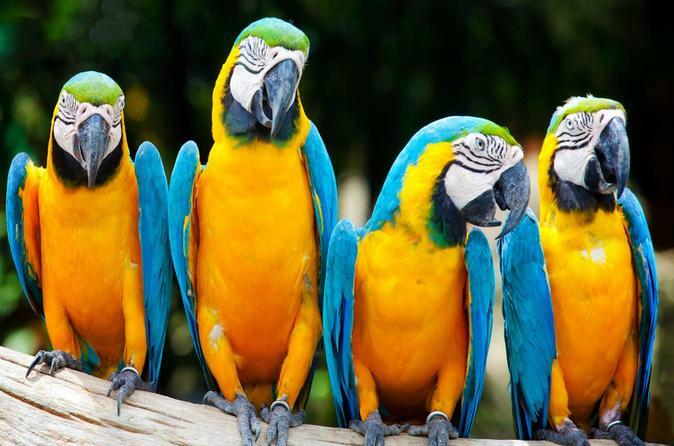 Visit the Parrot Clay lick, where you will be amazed at the colorful species of parrots, the Monkey Island and its population, the Tambopata Candamo National Reserve, and the Sandoval Lake, all of which have a variety of species to offer and delight the sight. 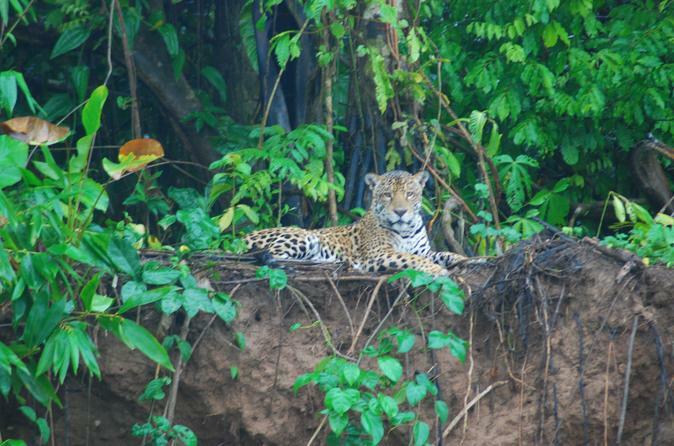 Travel down the Madre de Dios River and explore the jungle. 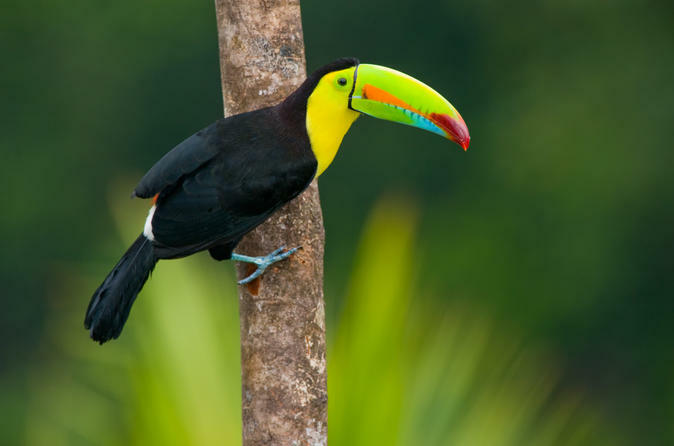 Visit the Parrot clay lick, the Monkey Island, the Tambopata Candamo National Reserve, and the Sandoval Lake, all of which have a variety of species to offer and delight the sight. Visit Gamatida Island and the Chakra farm, where you will learn about a variety of tropical fruits and other local products. 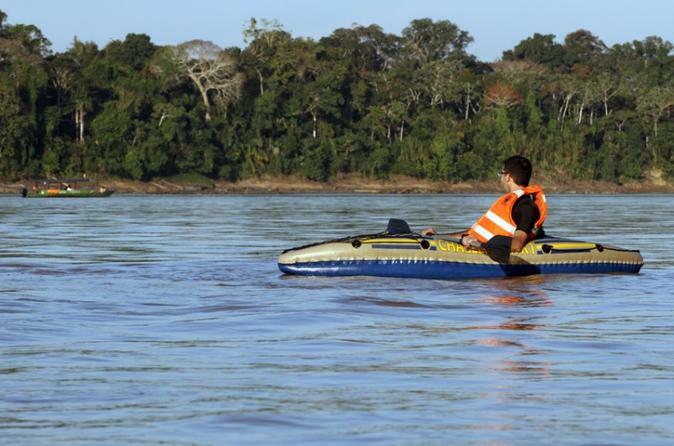 Experience the true lush Amazon jungle in person as you travel to Puerto Maldonado and the Madre de Dios River. Participate in a diverse selection of exciting activities that will get you to interact with nature and see a wild variety of native flora and fauna. Find yourself surrounded by the Peruvian Amazon on a captivating 3-day tour, with luxury accommodation at the 4-star Inkaterra Reserva Amazónica, including full board and elegant, private cabanas. This exclusive eco-lodge, accessed by motorized canoe over the Madre de Dios River, boasts a canopy walkway through the treetops and a wooden bridge walk over the wetlands. You’ll be captivated by the exuberant wildlife of the Amazon Basin—including river otters, caiman and capybaras—as you explore the Tambopata National Reserve and Lake Sandoval, with your choice of 13 excursions led by expert guides. Numbers are limited to 8 people, ensuring an intimate experience with a small group. Immerse in the natural wonders of the Peruvian Amazon from the comfort of a unique rainforest lodge, owned by the local indigenous community. Your 3-day eco-tour begins with a 45-minute boat ride from the town of Puerto Maldonado. Enjoy a guide-led rainforest expedition to Tres Chimbadas Lake in the Tambopata National Reserve, watch a riot of colorful birds at Parrot Clay Lick and embark on several easy walks—from the forest floor to the treetops! 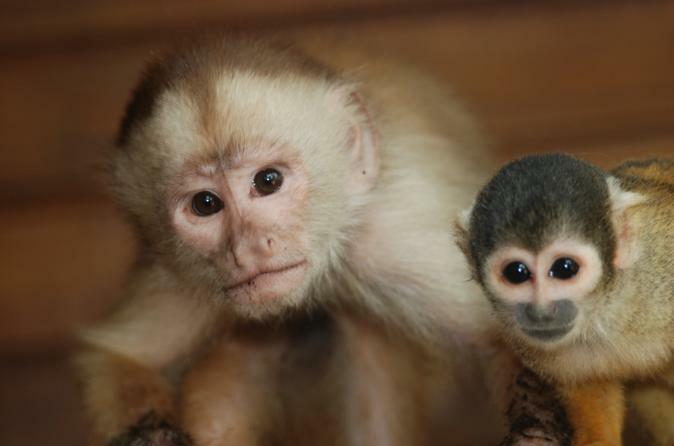 You’ll see Amazonian wildlife, such as rare river otters, caiman and toucans. Full board and round-trip hotel transfers are included. Numbers are limited to 8 people, ensuring an intimate experience with a small group. Explore the Amazon jungle and stay at the Refugio Amazonas lodge. Be amazed by all the jungle has to offer on this 4-day adventure! Visit the Oxbow lake, explore the World's Largest Clay Lick, climb a 25 meter Canopy Tower, take an Ethnobotanical Tour and learn about the ecosystem and several medicinal plants. Explore the Amazon jungle and stay at the Refugio Amazonas lodge. 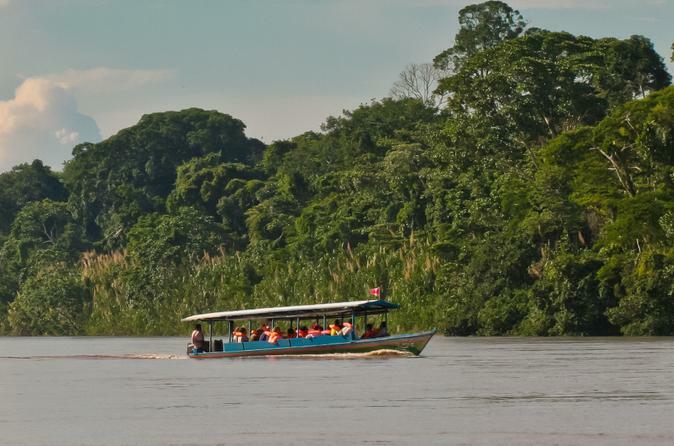 Visit the Oxbow lake, climb a canopy tower and search for caimans at night. Take an Ethnobotanical Tour and learn about the ecosystem and several medicinal plants. Be amazed by all the jungle has to offer on this 3 day adventure! Three days full of nature is what nature lovers need to totally connect with nature, in this tour you will feel every aspect of living in the rain forest, you will try traditional food, transport as jungle people do in Puerto Maldonado and watch many living species. 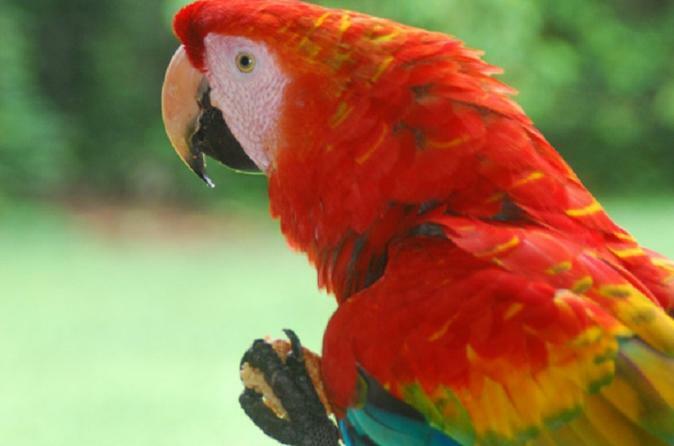 In few days visit the biggest Macaw Clay Lick located in Tambopata, watch nocturnal life in a Cayman search at night and know many medicinal plants in a botanical garden. Explore the wilderness of the Amazon Jungle from Puerto Maldonado and sleep overnight in a cozy Eco-Lodge. 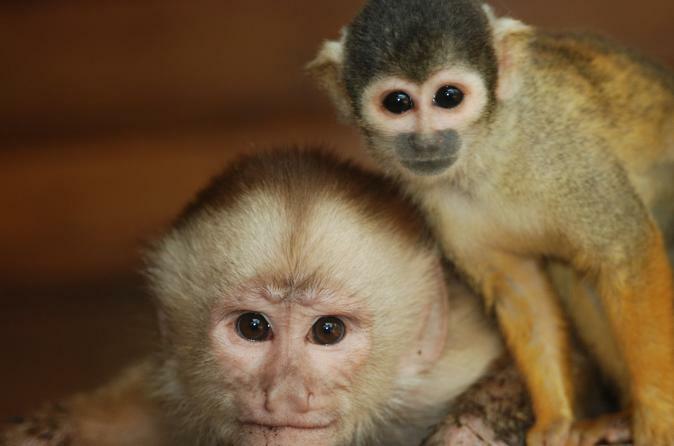 Visit the Taricaya Reserve, canopy bridges and the highest tree-platform in the Amazon to experience nature up-close. Encounter many different wild animals including a jaguar, puma, toucans, macaws, spider monkeys, howler monkeys, jaguarondi, bush dog, tapirs and many more. 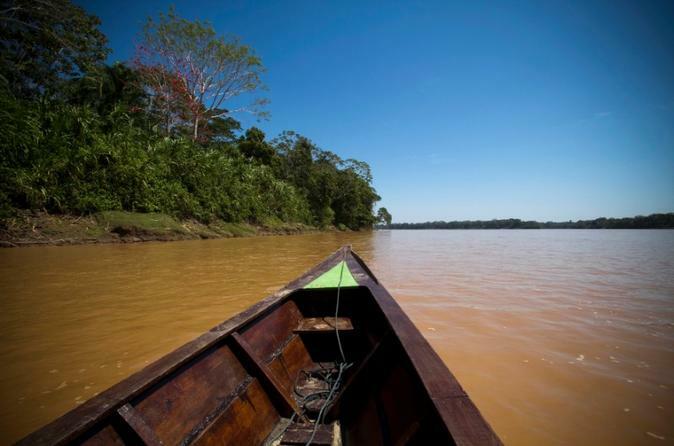 Immerse yourself in the Peruvian jungle, including paying a visit to Sandoval Lake. 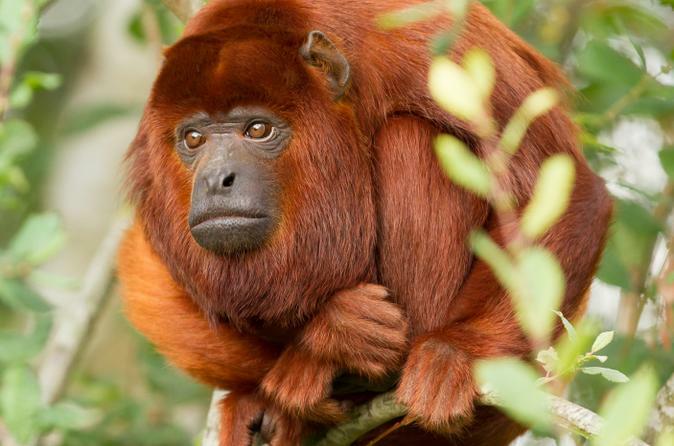 Head to the Tambopata National Reserve where you will admire the native wildlife. Walk through the Canopy Walkway and explore the Aguajales Swamps on a wooden bridge. Stroll through the Gamitana creek and learn about its ecosystem, which includes piranhas!